The first was the way Achebe made the colonizer’s language his own. By incorporating Igbo speech patterns, proverbs, folk tales and beliefs, he invented an English that could “articulate African aesthetics and African poetics.” The second was that he “explored the psychology of imperial conquest” and challenged Eurocentric views. In other words: Part of what Africans suffered at European hands was the loss of control over their own narrative. Achebe took back that narrative. I have just finished reading Biyi Bandele’s latest novel, Burma Boy. Major kudos to Farafina, the publishers of this book. Farafina has come a long way since I last read their production of Tanure Ojaide’s The Activist. Burma Boy is a beautiful production, carefully laid out with a nice cover, bereft of typographical errors and significant editing issues. It is remarkably easy on the eyes. I salute Farafina for a job well done. In terms of the contents of the book itself, have you ever read a book that you could never put down because you feel this weird obligation to finish it? 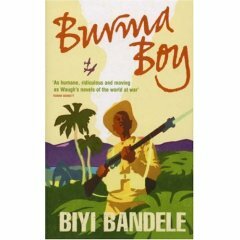 To relive that experience, buy Biyi Bandele’s book Burma Boy and try to read it. You will never put it down. Spurred on by Bandele’s boundless enthusiasm for the story and his reverence for his father’s noble contributions to the war effort, I so badly wanted to love this feisty book. Unfortunately, I had trouble reading it to the end. I got lost in the middle but I re-booted my motivation and started over. And I slugged through the book again. And again. The exercise was tedious; not painful, but tedious. This book is an ambitious project but I am not quite sure Bandele pulled this one off. Don’t get me wrong, I absolutely loved the dialogue in Burma Boy – Bandele’s skills as a really good playwright are evident and enviable. I loved the galloping intensity of the first chapter of the book as hearty chunky sentences raced me through the colorful streets of Cairo and the demented tortured soul of the book’s first character, Major Wingate. Unfortunately, the transition from a playwright to a novelist is bumpy at best. For example, a play can happily absorb umpteen characters; you know, market women, street urchins, hangers-on in the king’s palace, etc, etc, but a novel does not have that much staying power. There are all these characters, inchoate, rambling on and on with malarial delirium. Also, caricatures have their place in plays; properly deployed they can be delightful exaggerations of the human condition, witness the riotous and manic delights of the characters in Wole Soyinka’s Jero plays. Burma Boy struggles with an identity problem, a play wishing to be a novel. What is Burma Boy all about? It is about a certain war takes place in Burma but I shall return to that question later. The book’s one major failing is that it fails to anchor the story in its proper context. The reader is initially left hanging, wondering why this book is talking about a certain war. You would almost have to read about what Burma Boy is trying to deliver in order to have a fair shot at enjoying it. The alert reader quickly learns that it is about a certain war, some of which took place in Burma and boatloads of Nigerians fought in this war, and it was a war that they didn’t have a dog in but one they fought in like dogs. But what was the war all about? Those who truly want to understand what Bandele is trying to say should first read the books he recommends in his helpful “Author’s Notes” at the back of the book. I especially recommend James Shaw’s A March Out. Then they should read Burma Boy. In this respect, the book fails to deliver what would appear to be an enchanting story. Anchored to a succinct context, the story would have been a crowd pleaser. Bereft of an enabling context, the reader keeps asking the irritating question: Where are we? The book lurches drunkenly from obese sentence to obese sentence, egged on by legions of tragic-comical characters. So what is this book really all about? The near-context for all this penkelemesi is buried in one sentence one-thirds into the book: “The story of the day is that Kingi Joji, monarch of Ingila is fighting a war in a land called Boma and he wants our help.” (p 42) As seen through the eyes of Private Ali Banana, the main character, it is about the heroic exploits of West African soldiers who were part of the Chindits, forces that fought gallantly during World War II. The Chindits, under the fearless and lunatic leadership of a British officer named Orde Wingate were a part of the allied Special Forces of the 2nd World War. As Chapter 1 of Bandele’s book shows Wingate was easily one of the most charismatic, if not lunatic military chiefs of World War II. The Chindits were highly effective against the Japanese. They destroyed bridges and railroads, attacked logistics units and disrupted vital supply lines, all while staying largely embedded inside enemy territory. These West African soldiers or “Burma Boys” were a critical part of these operations; however most of the stories in print tend to glorify only the white combatants. The most charitable of the stories involve condescending, patronizing, and mostly racist commentaries about these soldiers. Their white counterparts certainly found them fascinating, if not exotic and tended to write about them as if they were sub-humans. Books like Shaw’s The March Out that Bandele praises effusively are written in this vein. Bandele set out on a noble quest – to write a story from the West African soldiers’ perspective. Unfortunately, he takes the ball from the white writers, and mostly runs fast in the wrong direction. There is plenty to frustrate the reader in this book. Bandele obviously read a lot of books about the Burma experience and it shows. It is not a pretty sight however. Numerous scenes are lovingly slapped together and they hang together, tough but separate, hardly ever jelling in this unlikely stew of a story – like the unhappy ingredients of a pot of okro soup put together by a hungry and impatient cook. Every ingredient stands alone refusing to play Bandele’s dream symphony. The okro soup’s richness is rendered destitute by the narcissism of its feuding ingredients. For example, in design and execution, chapter 1 is easily the best part of the book, but what is the point of this chapter other than to introduce a perversely eccentric character – Major Wingate? Also characters are born and rapidly killed off – there is no staying power. A painful riot of too many minor characters ensures that the reader stays distracted from the message. The book is a caricaturist’s delight. Stereotypes, mostly ethnic fall upon stereotypes and jostle gamely for space in the reader’s limited span of attention. Here, in this book, exaggerations are an inappropriate tool for scoring points. Also since the war theatre remains oblique to the reader, let me suggest that a map of the war theatre in that region (Burma, India, etc) would have been useful. Beautiful. And then we find out miles of pages later that this fabulous oratory is delivered by a man who turns out in fact, to be a boy-soldier. Incredulous, such precociousness especially when one realizes that the same child had uttered ‘I here for to killi di Jampani.’ (p 33) It is impossible to see the child in Ali Banana even as the book assures that Ali Banana indeed started out as a thirteen year old soldier. This reader is unconvinced. It stretches credulity. In Burma Boy, a tedious tale unfolds through the eyes of a writer unfamiliar with the terrain of Burma and India, the war theatre. It is one thing to be born after an event; it is another thing to have never been at the scene of the crime. The book answers the question each time, with a forlorn “No, I was not there and I have never been there.” Bandele’s knowledge of the geography is not intimate enough and comes across as contrived – as if the writer read about several places and sprinkled the resulting knowledge on several pages of the book. Burma is still a distant, remote land. It is not enough to litter the book with exotic flora and fauna. The landscape is not watered enough, not nurtured enough to keep it alive. Every battle is fought in the same leafy hills, sunken valleys and paddy fields. The book suffers from the rich monotony of a stunted imagination. Then there is this abiding disconnectedness. For example, Chapter 4 seems to start exactly where Chapter 3 did not end and this reader is not sure why. Weak synaptic connections try gamely to string the chapters together. Most times the ends don’t touch and the result is jarring. One just feels lost in this vast jungle that the writer doesn’t seem to conquer. And the reader feels like a hapless soldier, captured and frog-marched through a jungle to nowhere. Once the reader recovers from the climactic end to chapter 1, the book never really builds up again; there is nothing to look forward to. These were children after all, albeit loquacious children, who afflicted with chicken pox, malaria, and diarrhea, seemed to be fighting diseases and home sickness rather than the Japanese. As a result, the book’s lack of depth startles and rankles and leaves a yawning chasm in the reader. And the reader soon learns that nature abhors a vacuum. For instance Burma Boy does not go to the depth of feelings that forced these young men to fight in a war that they did not ask for. You would have to read another book. Burma Boy is a cautionary tale about the limitations of oral story-telling in literary world. How many epic stories have we lost because they got lost in the translation to “the book”? Maybe youtube.com will help but I am afraid that we have done our ancestors a grave injustice. Fifty years ago, Chinua Achebe wrote Things Fall Apart and in so doing set out to model how we should tell our own stories. Things Fall Apart was a stunning salvo in response to contemporary literature like Joyce Cary’s Mister Johnson that sought to dehumanize the African. With that book, Achebe assured the world in compelling evocative prose that the sum total of the African should not be expressed in primal grunts and half-sentences. 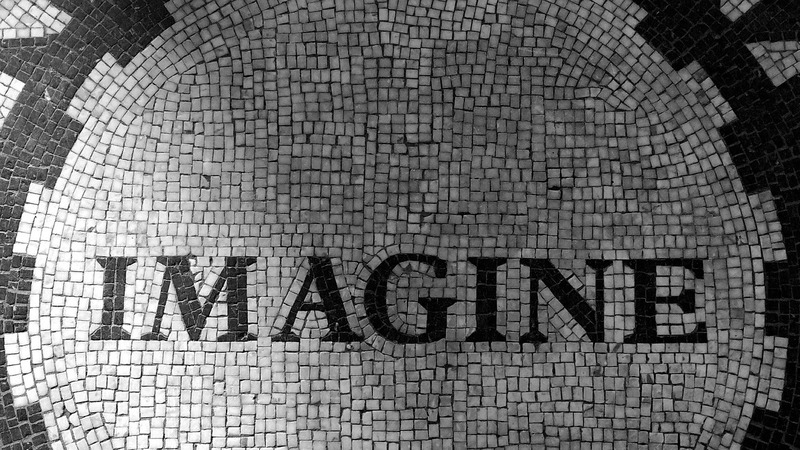 For we were poets, philosophers and scholars before the Westerners came and christened us bumbling illiterates. That war rages on today. I must say that I was particularly distressed by Bandele’s use of contrived English in this book. Indeed our writers’ new-found love with contrived English in its various viral strands threatens to shove us back into those dark ages that Achebe and his peers got us out of. Everything must be viewed in its proper context; as in Things Fall Apart, the language must be a vehicle – of communication, not of eternal damnation to a dark hell that only houses sub humans. We are not children of a lesser god. I was surprised at being addressed in English, for the speaker was a Tiv, or Munchi, one of an extremely backward tribe with which teachers and missionaries have little success. Not one in a hundred speaks English or Hausa, and their own jaw-cracking dialect is hard to learn. Training them is difficult at first, but they make good soldiers and boast that they do not fear to die, believing that death met bravely is the only passport to life hereafter…. As is usual in his tribe, his teeth were filed to points like a dog’s and the skin of his face stood up in bumps and ridges. It had been cut open in infancy with a knife, another playful Munchi habit.” (The March Out, p 28). Stripped of appropriate context Bandele’s characters come across as needless stereotypes that reinforce those in James Shaw’s unfortunate book. So Burma Boy, rather than being an Achebean response to a most unfortunate book about Africa, simply becomes yet another version of the same. Because the book falls far short of the expressed or implied purpose – to give rich voice to Bandele’s father’s “stories of carnage, shell shock, and hard worn compassion.” I would strongly recommend that the reader first read Bernard Fergusson’s excellent introduction to James Shaw’s The March Out. It serves as an excellent context to Bandele’s book. Or better yet, read James Shaw’s entire book. Neither did it matter to Bandele apparently. Private Ali Banana is luckier than this reader; in the end, he embraces the liberating arms of madness and engages in juicy dialogue with snakes and trees. Oh, to be so lucky. Ikhide, Ikhide. you just spoiled my enjoyment of what I thought was a beautiful well-researched book at the time. I now see what that intagible problem was I had. Being particular interested in WW2, especially the Asia-pacific theatre, i didn’t notice that Biyi took his reader’s knowledge of this episode for granted. But ee no mean, the ‘tory still sweet. Meanwhile, back to your quote above. I think Biyi makes it quite clear: when Ali Banana speaks in clear, eloquent sentences, the writer is basically translating from the hausa; when he speaks in broken Iweala-esque English we are listening to Ali Banana try his hand at proper oyinbo (and we laugh at the results, at the contrast between this little short boy – with a smatterring of murderous oyinbo – and the verbose too-big-for-his-britches runt who harrasses the hell out of his samaja). Abi you no see am so? Far from insulting the black boys, I believe that it, with a surprisingly light touch, pokes a fat log in the eyes of those who intepreted the African language as tarzan-native-speak, as oma-bongo-shang-machinga-nunga.